Air purifiers employ a number of strategies to filter contaminants from the air. Some use High Efficiency Particulate Air (HEPA) filters to catch microscopic particles, while others generate ions to bind particles and settle them out of the air in a process known as electrostatic precipitation. In addition, some air purifiers irradiate the air with ultraviolet light and others employ electret filters that use synthetic fibers to create a static charge to catch particles. When problems occur with any air purifier, it's usually because it's time to clean or replace the filters. When an air purifier malfunctions, it's usually because the filters are dirty. Electrostatic air purifiers generate an electric field to charge particles drawn through the grille by an internal fan. The charged particles (ions) continue into a second chamber, where oppositely charged plates remove them from the air. Each particle that hits the plate generates a burst of energy, and if the particle is large enough, there's enough energy to create an audible pop. It's the same pop you hear when a mosquito contacts the charged field of a bug zapper. Watch Out for Moisture -- You may hear a higher-than-normal number of pops from an electrostatic air purifier when the air is particularly dusty, and you may hear even more popping when the humidity is high. Moisture in the air can condense on the electrodes and electrode wires and short-circuit the system. When this happens, the pops can occur so closely together that they turn into a crackling sound. You can stop the crackling by unplugging the machine and wiping the electrodes and wires with a dry rag. Time to Clean the Filter -- When an electrostatic air purifier begins to pop excessively in normally dusty, dry air, it usually means the filters are dirty. You can clean them yourself, but because there is usually more than one, the job might involve a certain amount of disassembly. It's always a good idea to check the manual for your particular model before you do this, and it's also a good idea to take a picture before starting each step so you'll remember how every goes back together. Electrostatic air purifiers come in two types: one generates negative ions and the other generates positive ones. The latter type creates ozone as a byproduct, and while the amount is within limits prescribed by the FDA, the ozone can combine with other materials in the room to create even more. Moreover, the concentration of ozone in the air around a positive ion-generating air purifier can become dangerously high, and respiratory illness and lung damage can be the result. 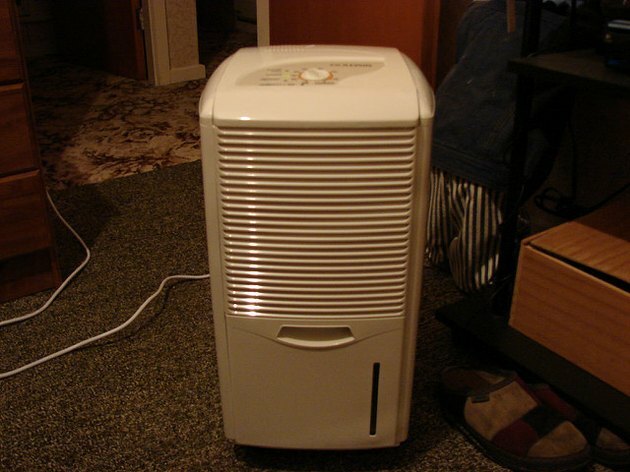 If you have one of these air purifiers, clean the filters at least twice a week. This will reduce the ozone in the air, but it won't eliminate it. Air purifiers that rely on HEPA filters need less maintenance than those that ionize incoming particles. Assuming the controls are working properly, all you need to do is change the filter when it becomes dirty. The same is true for units that combine a HEPA filter with an electret one. The unit usually has a warning system -- such as a light that comes on or one that flashes -- to alert you to the need to change the filter. Read the manual for your unit to familiarize yourself with the warning signal for a dirty filter. When a unit won't come on or switches off unexpectedly, you can often trace the fault to a problem with the plug or the electric circuit. Be sure the plug is fully inserted in the outlet, and check the outlet for power. If the outlet is dead, check the breaker for the circuit to make sure it hasn't tripped. It's also possible a GFCI outlet on the circuit has tripped, and it may take some detective work to find it. When you have power at the outlet and the unit is plugged in, but the controls don't work properly, the problem -- more often than not -- is that you made a mistake when programming the timer. Check the manual for your model to correct this. If you don't have a paper copy of the manual, you can usually find an online version by navigating to the manufacturer's website of typing the model name and number, along with the word "manual," in a search engine. Can Steam Set Off a Smoke Detector?